In this article Andrew Sharman presents a selection of explosion accident case studies, noting some remarkable similarities, before exploring how leadership and culture impact the management of workplace risk – wherever we are in the world. I’ve just returned from a week of work in Siberia: three flights, two taxis, and a train ride to get there, it was certainly a long way from home. It’s Russia at its most remote. In fact, the sophisticated shopping districts of Paris are closer to Russia’s capital city Moscow than Irkutsk (my home for the week) is. I’m no stranger to long-distance travel. The week previous, you see, I’d been working in Durban and Johannesburg in South Africa. Over there it had been 35 degrees Celsius, scorching sunshine and warm, smiling faces. And until this morning, when I started my trek back to base in Switzerland, all week in Siberia I had been well wrapped up in my goose-down jacket, woolly hat and gloves and thermal underwear. Minus 25 Celsius is no joke. As I carefully wound my way through the downtown streets of Irkutsk, simultaneously dodging the Russian drivers keen to get wherever they’re going while focusing on the snow and ice around my feet, it was easy to notice that the relaxed shorts, flip-flops, sunshine and smiles of South Africa had been replaced with a more sombre attitude of ‘let’s just do what we need to do and then get back into the warm’. With a temperature difference of 60 degrees between my work locations and a physical distance of 11,381 kilometres (7,104 miles), it certainly felt like I was on a different planet. Over the last couple of decades I’ve noticed that the world has become a smaller place. Almost every week I hop on a plane and find myself somewhere ‘exotic’. In the last few months I’ve visited China, Japan, America’s North, South, East and West coasts, Canada, Africa, Australia, all over Europe, and of course, the depths of darkest, coldest Russia. Drop my bag, head through Security, onto the plane, off at the other side, Passports and Customs, into a cab, and onto a hotel. The process is pretty much the same each time and to be honest, most of it is conducted on ‘auto-pilot’. I spend a few days working with clients, and then the process starts again, in reverse, until I wind up back at my desk in the office. Long hours spent on planes provide great opportunity for research, refection and learning. And with this article to write, I found myself pondering whether we really learn lessons from the past to enable us to create a safer future, or whether the process has become as commonplace and automatised as my travelling regime. In the last decade there have been several serious gas and vapour explosion events that have claimed lives and caused injury to workers around the world. Let’s begin by exploring some of the more well-known ones to see if we can identify any common ground. In 2005 an overflow of petrol from a bulk storage plant at Buncefield, England, led to the ignition of a vapour cloud, creating a massive explosion that was heard and felt up to 100 miles away in the Netherlands and in France. The explosions generated a fire that devastated the surroundings and 43 people were injured in the event. The subsequent investigation identified that a gauge for monitoring fuel volumes on one of the tanks had been sticking for several months and a high level switch for closing down the flow of petrol was inoperable. The bunds around the petrol tanks were inadequately designed and poorly maintained. The general approach to safety management, as well as the culture of safety at the site, were noted by investigators to be seriously lacking. 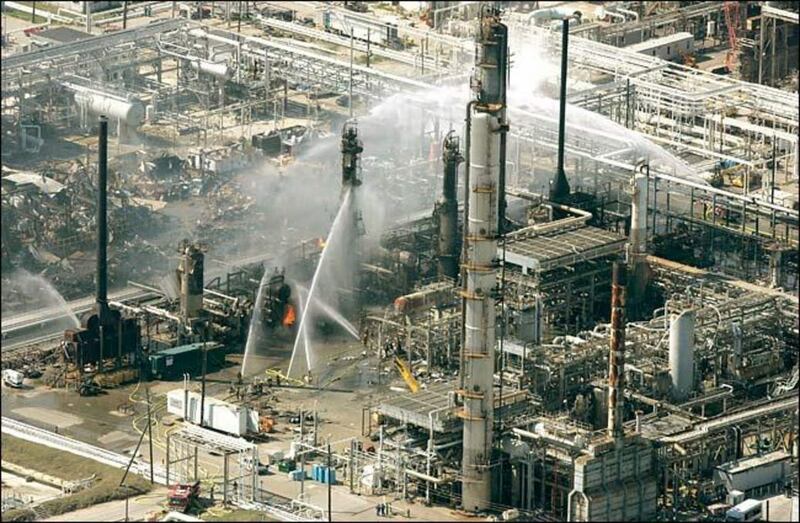 In that same year, over in the United States, BP's refinery in Texas City was the scene of disaster when a release of flammable liquid caused a tremendous explosion and fire that claimed the lives of 15 people and injured 170 more. 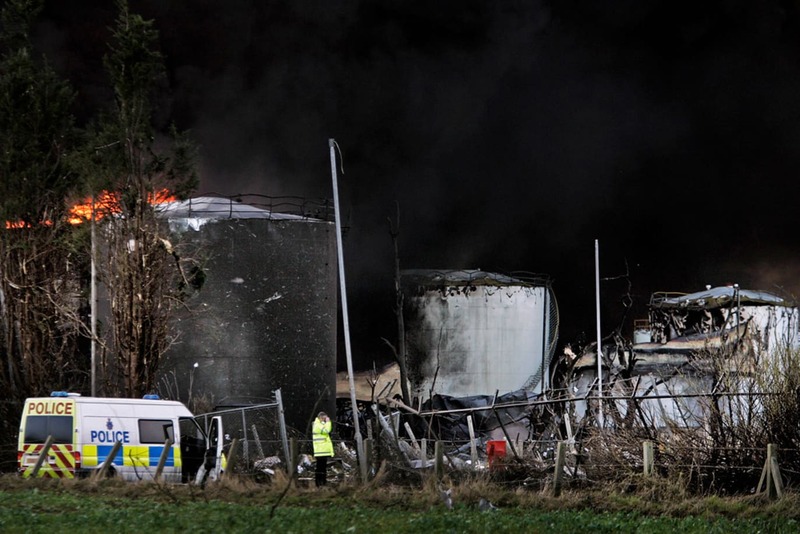 The United States Chemical Safety and Hazard Investigation Board said that while gas detection systems were in place, the root cause of the accident was organisational deficiencies at all levels of the corporation - including cost cutting, failure to invest, and production pressures. These collectively and cumulatively had impacted safety at the site. The report noted that a reliance on personal injury rate data had failed to provide a true picture of process safety performance and further stated that such data was not a useful indicator of health and safety culture at the plant. The report argued that various pressures within the organisation had created a corporate culture where keeping the process running had become the top priority and that safety did not get the attention, resources or priority that it needed to have. Former United States Secretary of State James Baker III led the team that investigated the safety culture and operational management within BP's American refineries. Even more recently, on 15 November 2014 a release of 10,500kg of methyl mercaptan killed four workers at the DuPont chemical plant in LaPorte, Texas, in the United States. Methyl mercaptan is used to produce insecticides and fungicides and as an additive to give natural gas that typical ‘rotten egg’ smell. The smell from the chemical release could be detected up to 40 miles away. While accurate reports on the details of the accident are hard to find, it’s understood that when one worker was overcome by the chemical others went to her aid and ultimately succumbed to the gas. The United States Chemical Safety Board’s investigation report points out, however, that there were no monitors to detect the presence of methyl mercaptan in some areas where the leak occurred, pointing to the necessity of proper gas detection equipment. DuPont was charged with several violations under American safety legislation, including a repeat violation for not training employees on using the building’s ventilation system and other safety procedures, including how they should respond if the ventilation system’s extraction fans ceased operation. “What we are seeing here in this incident in LaPorte is definitely a problem of safety culture in the corporation of DuPont” said Chairman of the US Chemical Safety Board, Rafael Moure-Eraso. So it would seem that a reliance on systems is not sufficient. On at least three of the four sites featured in the case studies above, there had been a significant focus on reducing accident rates. As I’ve suggested in previous articles, and in my recent book From Accidents to Zero , the absence of accidents does not indicate the existence of safety. Those never ending downward trending LTI (Lost Time Injury) charts (or LGI – Looking Good Indexes – as I like to call them) often inspire over-confidence in European and American board rooms and, unless lagging indicators are utilised alongside a range of leading metrics in a balanced scorecard, they can in their own right present a serious danger. No matter where I find myself in the world, I’m always thrilled to explore both the locale and its inherent culture. In post-apartheid South Africa there’s a palpable desire for learning and growth. Many citizens are clear to humbly point out that the nation is ‘second’ or even ‘third world’ by comparison to Europe. Despite still being ‘under development’ there’s a sense of pride for the journey so far and a calm, understated confidence that the future is bright. Working with clients there always brings a smile to my face as I see people from different backgrounds coming together to demonstrate a strong sense of community, team-spirit and a mindful dedication to improving workplace safety. Despite the chill in the air, Siberia showed similar signs of humility and hunger when it came to improving safety. Working with the top team of an oil and gas company, we spent the week together exploring how to develop safety culture and build authentic safety leadership. As the days unfolded I came to notice several unusual aspects of this company. First, the organisation was run by not one, but two Chief Executives. One a visionary, who plotted out the corporate direction well into the future. At his side, a tightly-focused former lawyer with a disarmingly warm smile. This co-operation highlighted my second point – the fine balance of leadership styles. As you may have spotted, the former was transformational, with the latter employing more of a servant style. During our workshops we’d been discussing safety leadership with the senior leadership teams. We had taken time to explore classical styles of leadership and with many leaders present having come from engineering backgrounds they identified with the transactional style of leadership. Typically process-oriented, this type of leader is skilled in planning, direction and facilitation. They quickly get things under control and are expert at identifying and driving appropriate action. These are the leaders that ‘make things happen’. Servant leaders, by contrast, can appear selfless, concentrating on how they can support others in achieving their tasks and goals. Totally committed, with high levels of awareness and empathy, they are skilled at listening and creating a sense of community. These leaders actively seek out opportunities to help, bring teams together and build a sense of community. Finally, transformational leaders are those individuals who seem to have energy and drive in abundance. Usually highly charismatic, they use their ability to look well ahead to create a vision for their organisation’s prosperity. Attentive to the needs of others, they then paint clear resonant pictures that persuade others to follow and support their cause. The combined joint leadership at the Siberian oil company really got me thinking. It’s not unusual for an engineering company to have a proliferation of transactional leaders – after all, getting the oil out of the ground safely and under control is key. But does the blend of servant and transformational leaders provide a more efficient and effective climate for engineering mindsets to prosper and safety excellence to flourish? Very recently, the 30th anniversary of another significant explosion occurred. For most people 28 January passed without mention, but 30 years previous, in 1986, the United States Challenger Space Shuttle exploded just 73 seconds after take off, claiming the lives of all seven members of its crew. Having recently met a former NASA employee on another plane ride, my interest was piqued and I set about reading several of the disaster reports from Challenger. In doing so I noticed some points that felt familiar to me, and seem to connect to the more recent explosion cases mentioned earlier in this article. First, it seemed that the culture at NASA was one where risk was not fully understood by the leaders. In fact, much of the logic and reasoning about risk at NASA took the form that if something bad hadn’t happened yet, then it probably wouldn’t happen. 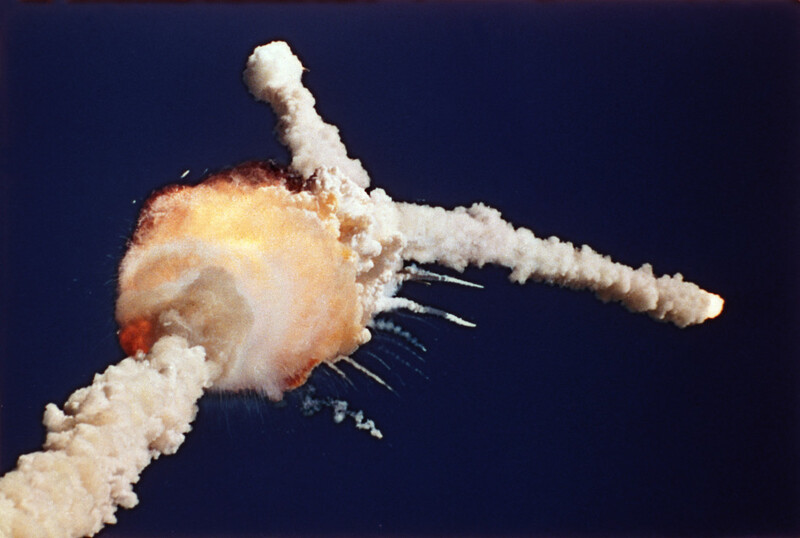 An over-inflated sense of confidence was at play, driven by the seemingly positive data that, in the case of NASA’s Challenger, there had been no previous failures. This is reminiscent of some of those other cases mentioned in this article; for example, Deepwater Horizon had apparently worked seven years without a Lost Time Injury. Second, a desire to be innovative and productive obscured some of the realities of what was happening in the workplace. In the ‘race for space’ between the Soviet Union and America, the pressure to ‘be the best’ was so intense that discussions on risk often took a backseat at NASA. And when safety was discussed, there was huge variation between the views of leaders and workers. As an example, prior to Challenger’s launch, engineers on the ground put the likelihood of disaster at one in 100. Leaders dismissed this, concluding that the chance was at around one in 100,000. In our Total Safety Leadership masterclasses we like to run real-time experiments where we use activities like base jumping, riding a bike and sitting on a beach to understand how people make judgements on risk. Each time, where delegates had experience of a particular activity, their ability as a class in aligning risk ratings was greater. When we understand risk from our own experiences we have a different view. So it stands to reason that the NASA engineers, transactional in style and accustomed to keeping things under control, were more familiar with the work activities than the leaders and as such had a more informed sense of risk, doesn’t it? In this article we’ve explored a selection of significant explosion accidents and found remarkable similarities. Each point to the importance of not relying on a single aspect of safety control and to be mindful of the trap we can fall into when measuring safety using only lagging indicators. Instead we should work to encourage a more holistic approach that encompasses robust risk assessment and a positive culture of safety. Engaging fully with the people who are actually doing the work to explore their views on safety hazards and risks may well reveal subtle nuances that were previously unnoticed. While leadership style should certainly be relevant to context, great safety leadership, combining transactional, servant and transformational elements may just be the secret to bringing smiles to faces, warming the team spirit and helping us create safety excellence – no matter where we are in the world.